SEVILLE, Spain – Last Tuesday officials and participants of the Velo-city 2011 conference signed the “Charter of Seville”. An important document and the closing act of the 17th successful international conference on cycling and cycling policies. 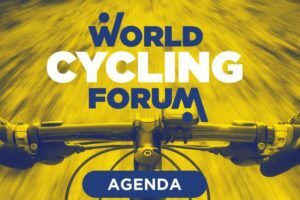 In May the “Charter of Seville” aspires to convince all Ministers of Transport that attend the International Transport Forum (ITF) in Leipzig of the fact that cycling simply makes sense. This year the representatives of 53 countries attending the ITF will focus on: “Transport and Society”. 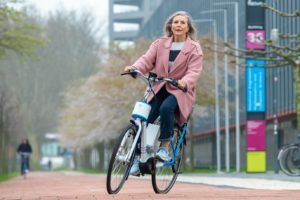 In light of this theme, the “Charter of Seville” asks these Ministers of Transport to recognize and acknowledge the documented advantages and benefits of cycling as a daily alternative mode of transportation. 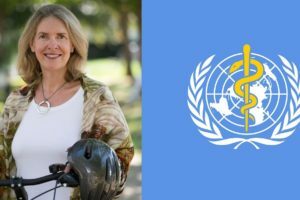 The constructive and lively debate in Seville – between the delegates and representatives of 47 countries in various round table discussions, workshops and plenary sessions – ultimately, led to a concise 15-point list of advantages and benefits of cycling. Manfred Neun, President of ECF, (European Cyclists’ Federation), Antonio Rodrigo Torrijos, the first deputy Mayor of Seville, Manel Villalante, the General Director of the Inland Transport Ministry of Development, Bob Paddon, President of TransLink and Maria Vassilakou, Vice-Mayor and Vice-Governor Vienna, took the lead in signing this groundbreaking document. Manfred Neun invited all the participants of the 17th Velo-city conference to join him in signing the “Charter of Seville”. He underlined that: “After all, it contains the direct results of all our gathered ideas and experiences. Together we need to keep up the good work and let a loud call go out from all cycling enthusiasts to fight for a better and sustainable future for all, most importantly, for our children and grandchildren”. Host city Seville was the perfect backdrop for Velo-city 2011 as it clearly shows the importance of integrating cycling into sustainable mobility policies. While the world continues to debate the need for the development of sustainable infrastructures and the need to find new sources of energy, cycling savvy Seville managed to single-handedly increase the daily cycle usage from 6.000 to 60.000 trips a day within a mere three years. The “Charter of Seville” includes and names many beneficial aspects of cycling. Environmentally, socially, and economically speaking, Cycling simply makes sense! 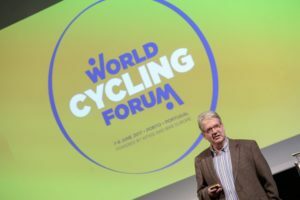 Since 1983, all previous Velo-city conferences have shown the enormous potential and the benefits of cycling; the Velo-city conference of Seville was no different. 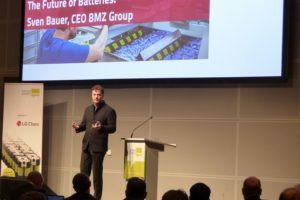 120 themes were presented and discussed throughout plenary sessions, workshops and round table discussions. 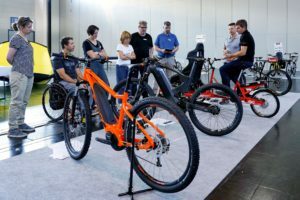 The more than 900 participants representing 47 countries, predominantly from Spain, the Benelux and Germanic countries, Scandinavia and North America, included cyclist associations, cities, architects, urban planners, politicians, NGO’s and representatives from the bicycle industry. Together they discussed how bicycle policy can be integrated in urban transport planning and how cycling can be promoted for various target groups.